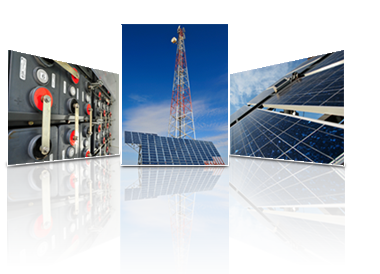 OneraSystems always been successful in seeking new and innovative ideas for utilization of photovoltaic as an alternative energy source. While we have been fulfilling the needs of various applications with our innovative ideas, we have started a while ago an immense research and development efforts to develop projects which would re-direct the reliance towards photovoltaic energy. Unlike usual initiatives, our research and development is backed by strong and long experience in the field which has proven to be commercially and economically viable on the short, medium, and long terms. Following its ambitious to move into plan new business dimensions, coupled with its visions to diversify activities and its belief in specialization, OneraSystems has been created by MEET Egypt to be its successor in practice in the renewable energy business, while MEET Egypt will act as the holding company. OneraSystems is mainly focusing on providing clean, efficient and reliable energy to be burgeoning business to the population of the Middle East by providing integrated solutions, as well as integrating solar energy sources with, Fuel Cells & Wind Turbines. With virtually the same top management, OneraSystems is acquiring all expertise and know how in the field of Renewables to hit the road running. "Onera Systems" will retain "MEET Egypt" existing shareholders' and will continue to operate and function within the normal pattern, as it has always done for the past years. Sincerely, we hope to continue serving the renewable energy business in the best punctual and professional manner.